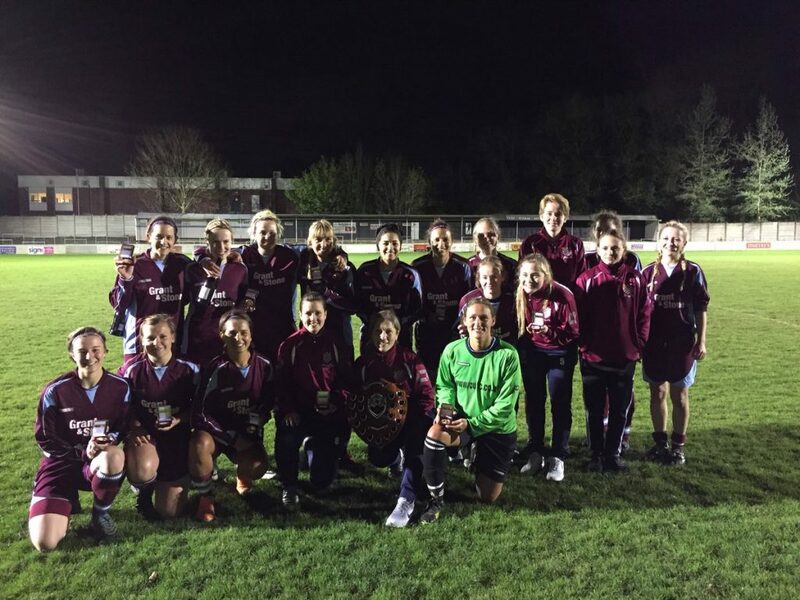 Chesham United made it sixteen wins from as many Southern League games with a 2-0 defeat of Oxford City, as they were presented with the Premier Division champions’ shield. In the top of the table clash, the hosts clipped the bar before the prolific Gemma Fraser opened the scoring on 37 minutes. An exchange of passes between Fraser and Jacqueline Hanson just before half-time saw the former double her tally for the night and average over two goals a game for the league campaign. While Chesham can look forward to playing in the FA Women’s National League next season, Oxford City had to settle for a fourth successive runners-up spot.